Photos taken from the Facebook page of our 2000th Rescue Rewards partner, Pope Memorial SPCA in New Hampshire. In early October Hale Pet Door celebrated a milestone. On Oct. 5 we signed up our 2,000th Rescue Rewards partner. Pope Memorial SPCA of Concord-Merrimack County in New Hampshire was Number 2000 as we welcomed them aboard. Rescue Rewards is our company’s charity arm. When customers let us know that they adopted a pet from a rescue group or shelter (even in the past) or if they rescued a stray animal, we give them a 10 percent discount off the cost of their pet door. We choose to give customers this discount because we appreciate that they saved a precious life. Then we send a matching donation for that 10 percent amount to the rescue group of their choice. Donation checks are sent about a month after purchase. Each week, Hale sends between $1,500 and $2,000 to rescue groups all over the country. By the close of 2015 we will have donated nearly $300,000 since the program began a few years ago. Hale has donated to organizations in all 50 states and even a handful in Canada at this point. Our donations go to not just private pet rescues and animal shelters, but to other groups that benefit animals in unique ways. We have donated to organizations that provide service dogs for people who are deaf or blind (www.LeaderDog.org), for children with autism (www.blessingsunleashed.org), and for returning military personnel with PTSD (www.freedomservicedogs.org). We’ve helped pot belly pig rescues (www.VegasPigPets.org) and songbirds (WildWing Rehabilitation in Arizona). We also have donated to rescue groups that specialize in transport, driving dogs and cats from high kill shelters to other states where they are helped by private rescues, such as Colorado Animal Rescue Express (www.caretransport.org) and Going Home Animal Rescue and Transport (https://arfok.org/pages/going-home-animal-rescue-transportghart). 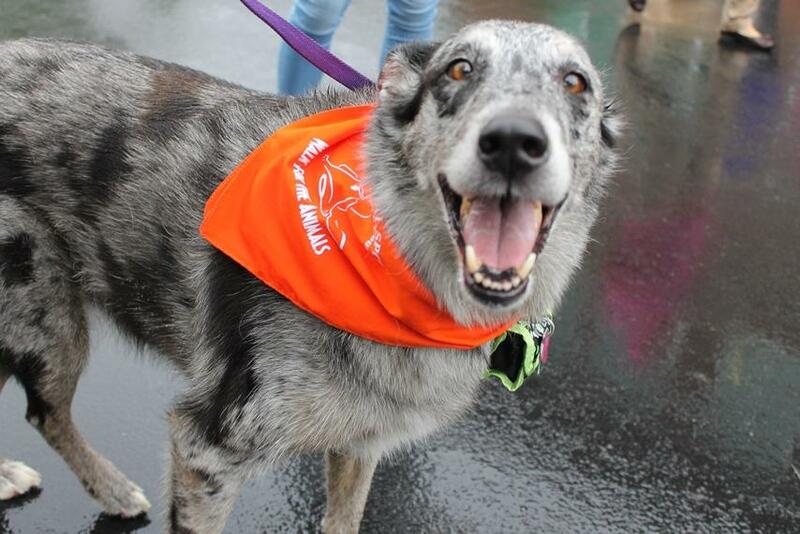 Some of our Rescue Rewards partners have a large scope, such as national rescue organizations like St. Bernard Rescue Foundation, English Springer Rescue America and the Grey Muzzle Organization. These groups use funds to award grants to local groups. We also have helped many breed rescues all over the country, whose focus is to save and adopt particular dog breeds. By far, our largest breed rescue is for greyhounds (with 46 different greyhound rescues helped). Primarily though, Rescue Rewards helps public animal shelters and humane societies, both large and small, all over the country. Our funds have helped shelters in small towns like Silver City, New Mexico (www.highdeserthumane.org) and the largest shelters in the country like Best Friends Animal Society in Utah (www.bestfriends.org). You can read a lot more about our Rescue Rewards program here on our website. Just go to the “Rescued a Pet” link. There we include information for customers and rescue groups, and even list all of our Rescue groups with further details about them. Hale is proud to send checks each week to these organizations, and we hope that every dollar donated will help shelter pets find a loving forever home!